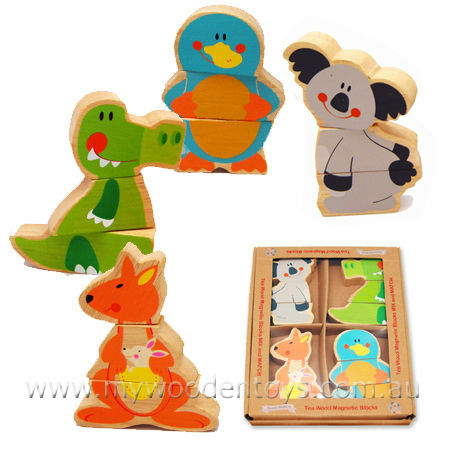 Magnetic Mixup Aussie Animal Set is a set of four Australian animals which all split into 3 pieces. The three pieces of each animal are held together magnetically so they can be pulled apart. The pieces can all be mixed up so you can create some very crazy animals. This toy includes all four animals pictured. We like this because: "really fun creating mixed up animals."